Jason Rosenbalm was enjoying the opening day of ice fishing at the south end of Lake DeSoto at DeSoto Bend National Wildlife Refuge on Friday, January 2. 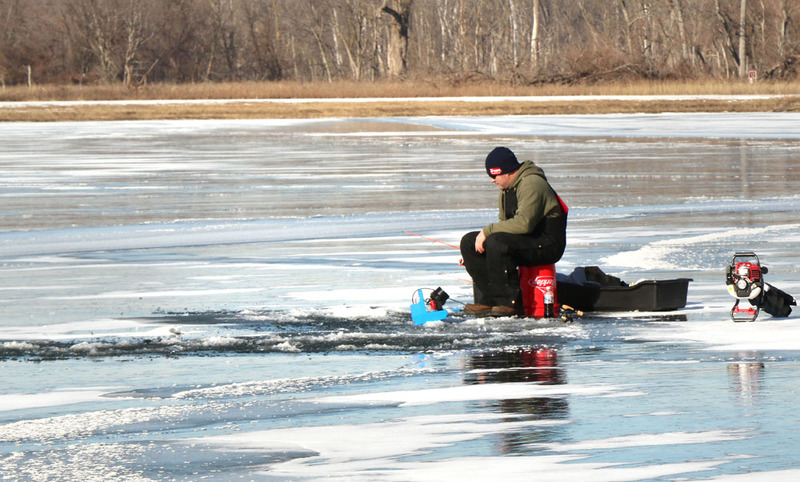 2015-01-02 Fisherman were on thin ice for the opening day of ice fishing season at DeSoto Bend National Wildlife Refuge today. While the lake ice measured anywhere from 3 to 5 inches, ducks, geese and swans floated and paddled on areas of open water. 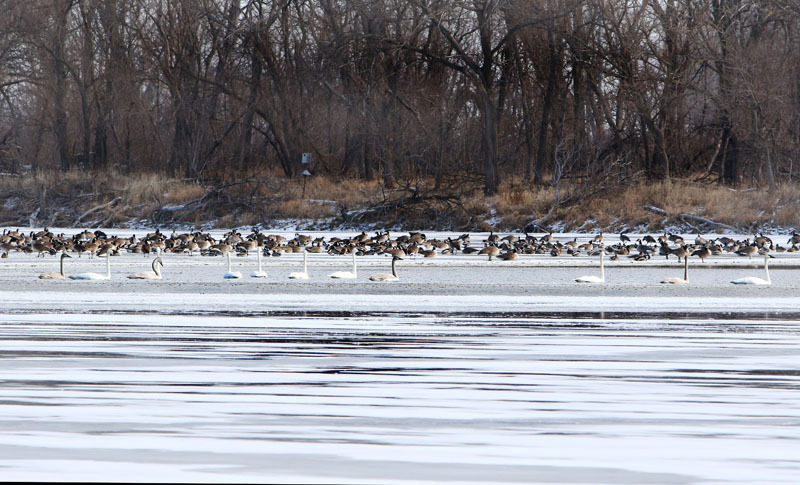 Even though the 12 days of Christmas are over, there were swans a swimming in DeSoto Lake on the opening day of the ice fishing season. 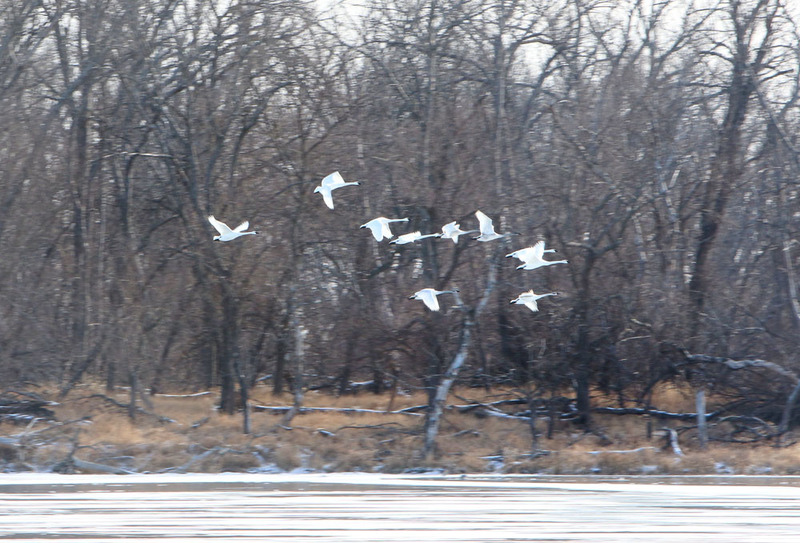 Swans flying over Lake DeSoto. 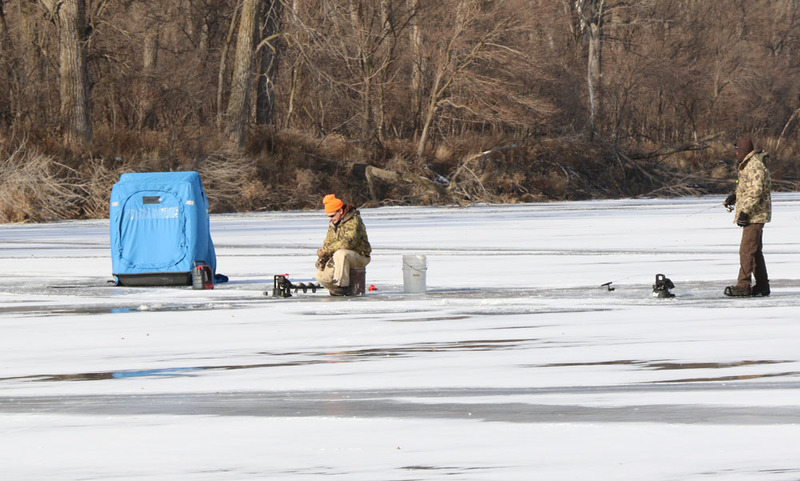 Tom Cox and Rod Hansen take the day off from work and go ice fishing on the opening day of ice the season at DeSoto NWR.